There is no guarantee for a special waiver for India from the punitive US sanctions over its weapons purchase from Russia as Washington has concerns over the nearly five billion deal, a top Pentagon official has warned ahead of the first 2+2 dialogue in New Delhi next week. The Countering America's Adversaries Through Sanctions Act (CAATSA) waiver is intended at preventing US sanctions on countries like India. New Delhi is planning to buy five S-400 Triumf missile air defence systems from Russia for around USD 4.5 billion. US Defence Secretary Jim Mattis has publicly been a strong proponent of granting India waivers from sanctions. "We understand historical India-Russia relationship. We want to have a conversation with India not on legacy, but on future. 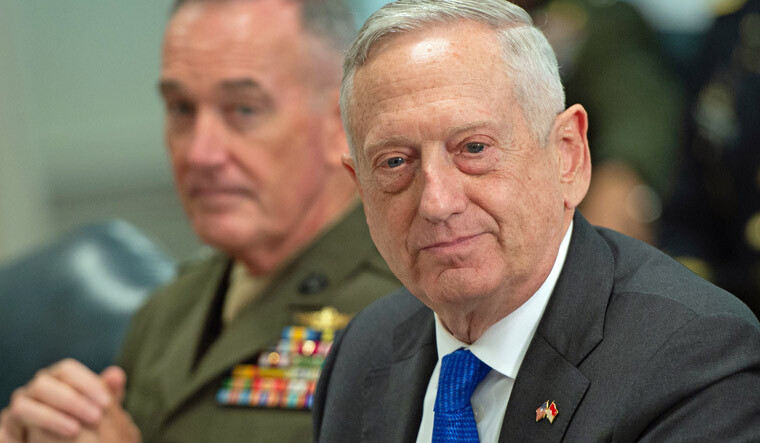 On CAATSA, Mattis did plea for an exception for India, but I can't guarantee a waiver will be used for future purchases," Randall Schriver, the Pentagon's assistant secretary of defence for Asian and Pacific Security Affairs, said. "Russia is not a country you want to have a strategic partnership," he told an audience at the Carnegie Endowment For International Peace in Washington yesterday. He said that the CAATSA was the result of Russian behaviour, not Indian. "I can't sit here and tell you that they would be exempt, that we would use that waiver." Schriver said as he discussed Defense Secretary James Mattis' priorities for the upcoming 2+2 India meeting in New Delhi. There was an "impression that we are going to completely protect the India relationship, insulate India from any fallout from this legislation no matter what they do. I would say that is a bit misleading. We would still have very significant concerns if India pursued major new platforms and systems (from Russia)," he said. US Secretary of State Mike Pompeo is travelling to New Delhi with Defense Secretary Mattis for the inaugural 2+2 ministerial dialogue on September 6. The format of the 2+2 dialogue was agreed upon between the two sides during the visit of Prime Minister Narendra Modi to Washington in June 2017. Earlier, External Affairs Minister Sushma Swaraj and Defense Minister Nirmala Sitharaman were to travel to Washington to take part in the meeting with their US counterparts in July. But the US had postponed the dialogue citing "unavoidable reasons".